Q. How do I do an advanced search in LibSearch? LibSearch also offers Basic Search options. LibSearch is our one-stop search tool to explore the majority of the library’s physical and electronic collections. 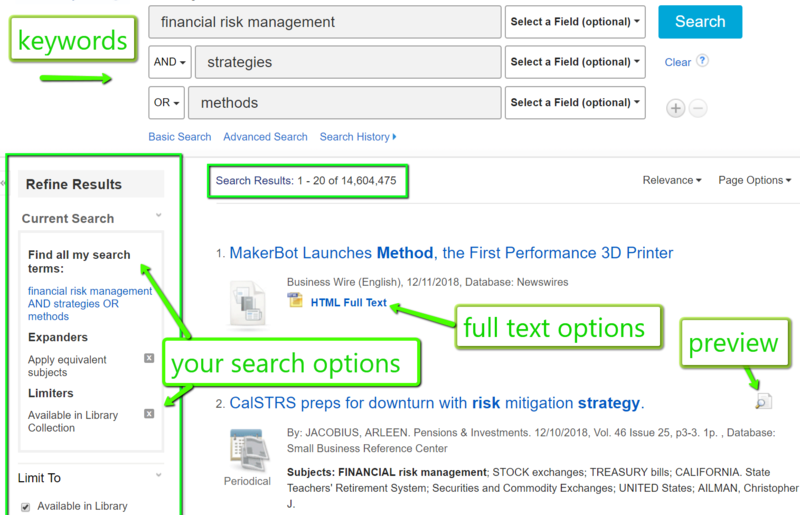 Using the advanced search gives you a variety of options to focus your search results. It can greatly enhance the search experience, saving you much time and effort while also improving results. 1. LibSearch is the search box on our library homepage. You may search Everything, or just Books, Articles or Videos by using the checkboxes below the search box. 2 On the Search Results page, click Advanced Search below the search box to go to the Advanced Search screen. 3. Enter multiple keywords and use the dropdown boxes to specify where LibSearch should look for those keywords. For example, if you are searching for an author's name, you can use the dropdown box to select Author. Choose to link keywords with AND, OR, NOT. 4. 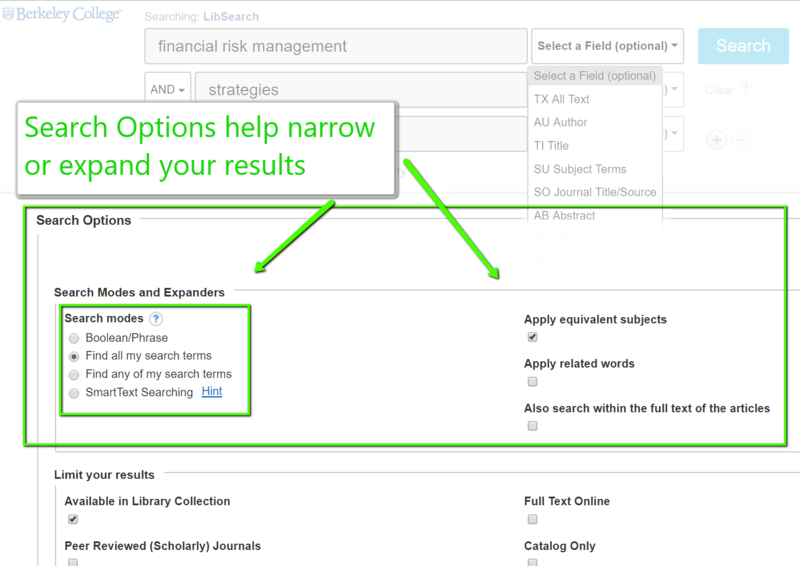 Below the search boxes, you can use the Search Options to further narrow or expand results. You can get very specific with these options, for example you can limit the search to items held only at your campus library or expand your search by telling LibSearch to apply similar subjects or words. 5. Launch the search to view the results list.